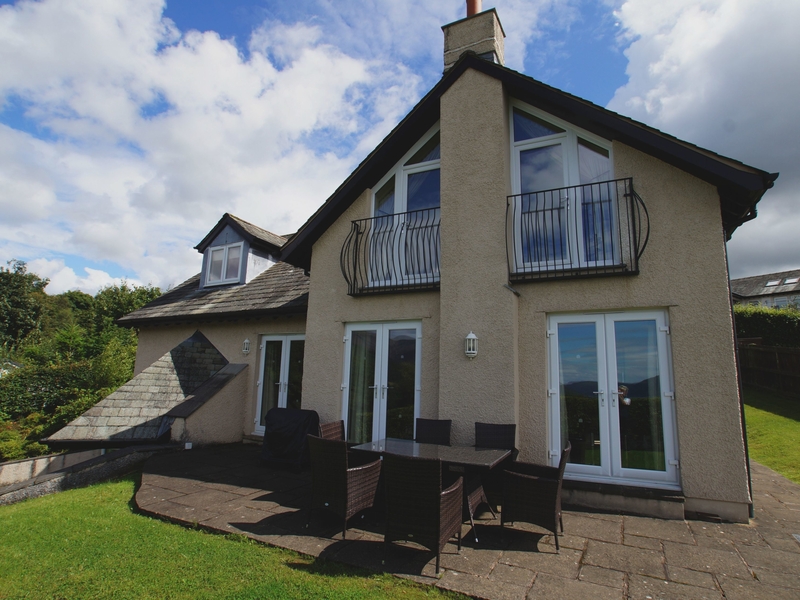 Skiddaw Heights is a modern, detached townhouse overlooking Keswick in the Lake District. The house sleeps eight people and has two double bedrooms (one with an en-suite), two twin rooms, and a family bathroom on each floor. On the ground floor is a kitchen, lounge, and formal dining area. Outside is a private garden with patio, garden furniture and a barbecue. The house has private parking for four cars and includes a double garage and bike storage. Located just a short downhill walk to Keswick town centre, Skiddaw Heights makes for a delightful holiday home for the whole family. 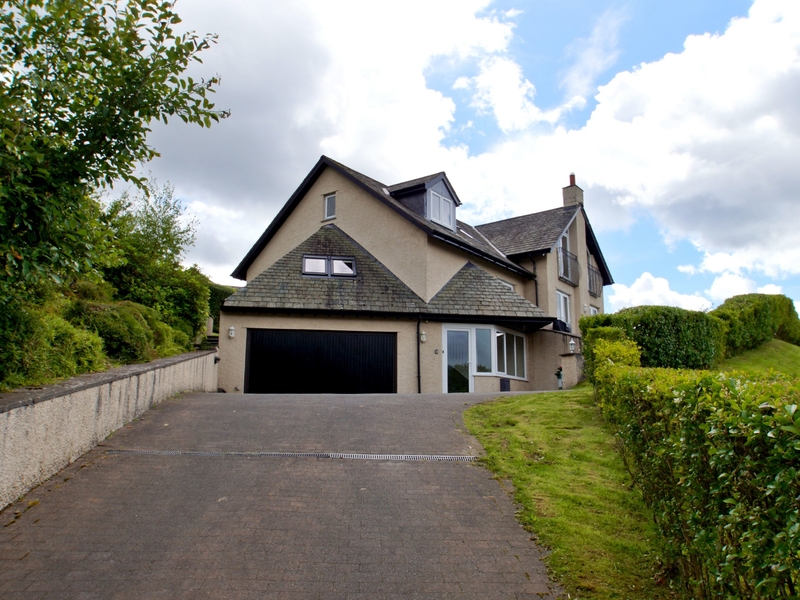 Four bedrooms: 1 x ground floor twin. 1 x first floor master featuring Juliet balcony with panoramic view, king size bed, and en-suite bathroom with bath, hand basin, and WC. 1 x double with king size bed and cot. 1 x twin. Shower room on ground floor with basin and WC. Bathroom on first floor, with bath, shower over, basin and WC. Lounge. Kitchen. Formal dining area, with patio doors. Utility room with tumble dryer and washing machine. Gas central heating. Cast iron log effect fire in lounge. Electric oven and hob, microwave, fridge/freezer, dishwasher, Krups coffee machine, washing machine, tumble dryer, free Wi-Fi, access to Netflix. Fuel and power inc. in rent. Bed linen and towels inc. in rent. Cot, travel cot, and highchair available. Private parking sufficient for four cars. Double garage to store bikes. Private rear garden with patio and garden furniture. Complimentary entrance to Keswick Leisure Pool. Spa Treatments available within the property (to be booked in advance). Shop and pub 15 minute walk. Note: Max 8 adults.